It's fairly safe to assume that a very high percentage of Australians travelling to England are headed there to explore the abundance of sights and experiences that London has to offer. And rightly so -- the capital city has an incredibly diverse culture very worthy of submersion. 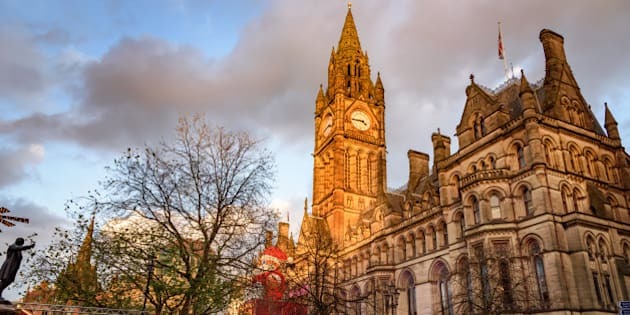 But just a few hours by train away lies Manchester, a major city in the northwest of England -- arguably most famous for its football team Manchester United, though there is so much more to this once industrial city than just soccer. Rich in music history, a budding art scene and yes, a strong sporting presence, Manchester is well worth a visit to experience is surprisingly different culture to that of London. Following the success of this contemporary brand across Europe, INNSIDE Manchester is the first to open in the United Kingdom. The brand new building is conveniently located on a main tram line, which provides easy access to the national rail stations. The hotel itself is modern, comfortable and spacious. The hash browns at breakfast are particularly notable. This impressive hotel is said to be the city's most famous. Grand in design and rich in history (it once slept kings and queens, and more recently Prime Ministers and rockstars), the opulent property boasts a world class spa and well as two award winning restaurants. The foyer alone is large and opulent, boasting very high ceilings and sparkling crystal chandeliers, making it perfect for the traveller who prefers old world glamour over modern lines. Rooms are surprisingly affordable -- prices vary depending on the season. Winner of Museum of the Year (and said to be the best emerging cultural destination in Europe),The Whitworth art gallery is generously free to visit (as are most of the museums in Manchester). Collections are widely varied and ever changing, meaning there is literally something for all art tastes. It's worth checking the website to see what exhibitions will be on display at the time of our visit. Be sure to leave extra time (and pounds) to browse the perfectly curated gift shop. Manchester was an important world player in the cotton trade industry during the Industrial Revolution. Traders would meet twice a week in the thousands to feverishly buy and sell cotton, much like a modern day stock exchange. Following the slow decline in the 1950s the industry all but died. What's left in the once bustling trading space is the largest commercial room in the world, now used to house the Royal Exchange Theatre -- an innovative in-the-round space for performing arts where Tom Courtenay, Helen Mirren and Kate Winslet, among others, have graced the stage. Home to over a million literary items, possibly the most discussed and controversial that the John Rylands Library holds in its possession is the 'wicked bible' -- a very rare copy of the bible in which the printer accidentally omitted the word 'not' from the seventh commandment, inadvertently condoning adultery. Scandalous! Entry to the library is free. An area spanning a few blocks in the city centre, the Northern Quarter is akin to London's Brick Lane, Sydney's Newtown or Melbourne's Brunswick. A suburb alive with eccentric creatives, the colourful art covered area is famous for its affordable vintage shops (set aside time for a fossick), underground bars and cheap (but oh-so-hip) eateries -- including a slew of Brit-approved authentic curries (expect to pay 6 pounds for a heaving plate). Manchester stakes claim to a number of music legends -- who could forget the Bee Gees, The Smiths, New Order, Joy Division, and Oasis? Band on the Wall, the most famous music venue in Manchester (located in the Northern Quarter), has been home to Mancunian music for almost two centries. Present day uses still include live music and concerts, as well as music and singing classes. If you're a Man U fan it's likely you'll be making a beeline for the stadium the minute you get off the plane. The football team boast an impressive home ground worthy of a stadium tour (the space seats 76,000 fans), where you can gain behind-the-scenes access to the halls your favorite players frequent. The 'Legends Tour' is particularly good if you're keen on the team and sport's history. That's a whole lotta red! Proper Tea, located conveniently next to Manchester cathedral, takes its tea veeeery seriously. Once you've ordered you'll be provided with three hourglass timers along with your pot, so you can map out exactly how much time your tea needs to steep depending on if you like it weak, regular or strong. Owned by british broadcaster and actress Yvette Fielding, the tea room also stocks an impressive range of too-pretty-to-eat cakes and heart-shaped scones. HOME is so much more than a restaurant, literally. The brand new establishment houses a delicious eatery with an extensive menu, as well as two theatres and and five cinema screens. Born when two major mancunian entertainment forces, Library Theatre Company and Cornerhouse, merged, the vast, modern space is best described as an experience. Grab dinner or lunch, then catch a film or live show. Located inside the aforementioned The Midland Hotel, this restaurant -- as the same suggests -- is more like dining in a flourish of foliage than it is a stock standard building. The name and the decor is a nod to Mr Cooper himself, whose house and garden once stood on the site back in 1819. The dishes are fresh and experimental, making it a fun and tasty fine dining experience. Fancy a burger? Get to Gorilla. The bar, music venue and American diner-style restaurant offers a range of big breakfasts, burgers, dogs and sandwiches to really hit the spot. The second bar, named The Gin Parlour, is a fun space to sip on any tipple -- though not surprisingly they specialise in one drink in particular. Cathay Pacific flies to Hong Kong 70 times a week from Australia, with four connecting flights direct to Manchester airport weekly.The total travel time from Sydney to Manchester via Hong Kong is 25 hours and 35 minutes (including transit times). Cathay Pacific also flies from Hong Kong to London several times a day. Thanks to Manchesters compact size, you can walk most places, or hop on a tram. A BritRail Pass from Rail Europe will gain you access to clean and consistent trains for transport around Britain. Leigh Campbell travelled to Manchester as a guest of Cathay Pacific and Visit Britain.